Polling stations across Cairo filled with people as Egyptians voted in a snap referendum expected to allow President Abdel Fatah al-Sisi to remain in power until 2030. Six people said that they had been bussed to the polls from working-class areas, and given bags of food in exchange for their vote. Gun-toting soldiers and members of the security services watched over polling stations, accompanied by teenagers wearing T-shirts bearing the logo of the “do the right thing” campaign, set up to encourage citizens to vote, often in favor of the changes. The campaign’s logo was visible on dozens of microbuses lining the streets around polling stations in central Cairo, where voters said the buses had brought them from working-class neighborhoods surrounding the capital. A recent change to election regulations allowed Egyptians to vote anywhere in the country, not just their local area. The amendments are predicted to pass, allowing Sisi to extend his current term until 2024, with a third term lasting until 2030. The vote, some observers believe, marks the end of the constitutional guarantee that Egyptian presidents may only rule for two terms, the last remaining achievement of the 2011 uprising that toppled former autocrat Hosni Mubarak. The sweeping changes will also create a second house of parliament, the role of vice-president and add a 25% quota for women. “All the polling stations are full like this,” said Amal Ali, as she stood in front of a polling station in downtown Cairo. Her husband, she said, was one of the microbus drivers who had brought people from the Giza neighborhood of Talbiya, and had returned to collect more. “Two or three people on every bus will vote no,” she said, but was unable to point out anyone she knew who had done so. A group of four women sat inside a nearby microbus bearing the “do the right thing” logo explained the bus had brought them to the polls from Qalyubia, south of Cairo. All declined to give their names, for their own safety. “Ten days before the vote, someone said if you show your ink-stained finger, you’ll get a bag worth 150LE [£6.70],” one explained. All four women said they had voted in favor of the amendments. A third woman complained that the bag of food they had been promised by the driver “would be big – but it’s small”. “With us he will win. Without us, he will also win,” said a fourth woman, in reference to Sisi. Around the corner, close to Cairo’s Tahrir Square, which formed the central point of the 2011 uprising, a group of 10 people jostled in front of a microbus. “Some people took more than two bags, so they’re fighting,” explained a woman standing nearby, who had travelled with the group. “Now they’re refusing to go back until they’ve got their share.” Nearby, others carried armfuls of black plastic bags of food. The driver of the van, who did not give his name, explained that the small bags contained cooking oil, salsa, pasta, rice and sugar. “Some guy at the bus stop gave us the bags,” he said. The campaign to demand that citizens vote in favor of the changes began long before a referendum was officially declared, when 531 out of 596 MPs supported the amendments just four days before the vote. Most people said they had learned about the referendum from television and newspaper reports in the pro-government media. Very few said they were aware of any campaign to demand that citizens vote against the reforms. As mass protests rose up against military dictatorships in Sudan and Algeria, banners appeared on the streets of Cairo telling Egyptians that Sisi’s rule was a guarantee of future stability and prosperity. The former minister of defence who swept to power in a coup in 2013 renewed his current mandate in 2018 with 97.8% of the vote. “You see what’s happening in the Arab world right now? Look at Syria, or Iraq. Egypt wants to avoid what happened in other countries,” said Mahmoud Hamma, who said he had voted in favor of the reforms. Others were determined to vote against the changes, despite the odds. “I will go and vote no because this man and this government should not continue. Everything is now worse,” said Mohammed, a parking attendant who spoke by telephone from Luxor, and whose surname has been withheld for his safety. “I even voted for Sisi in the first elections in 2014, and I am regretting this now,” he said. The post Egyptians vote in snap referendum on keeping Sisi in power appeared first on Middle East Observer. Turkey arrested two intelligence operatives in Istanbul on Monday who confessed to spying on Arab nationals on behalf of the United Arab Emirates (UAE), one of whom is suspected of having connections to the murder of dissident Saudi journalist Jamal Khashoggi, who was killed more than six months ago by a Saudi hit squad. Citing judicial sources, Anadolu Agency reported Friday that Turkey was investigating whether the arrival of one of those detained had connections to Khashoggi’s murder in October last year. Reuters also reported on Friday that according to a senior Turkish official, the two confessed to spying on Arab nationals for the UAE and that now Turkey is investigating whether their arrival in the country is related to Khashoggi’s death. The two UAE nationals were detained as part of an investigation led by the Istanbul Chief Public Prosecutor’s Office and the two were referred to a court to be arrested on charges of military, political and international espionage. Khashoggi was killed in the kingdom’s Istanbul Consulate on Oct. 2, 2018, by a team of 15, consisting of Saudi officials who arrived in Turkey for his murder and a cover-up team also in charge of dismembering Khashoggi’s body. It has also been reported that one of the two men arrived in Turkey in October 2018, only few days after Khashoggi was murdered inside Saudi Arabia’s Consulate in Istanbul. Officials said that the other spy arrived later to assist his colleague. “We are investigating whether the primary individual’s arrival in Turkey was related to the Jamal Khashoggi murder,” said the official, adding the person has been under surveillance for the past six months. “It is possible that there was an attempt to collect information about Arabs, including political dissidents, living in Turkey,” he further underlined. During the arrests, Turkish officials also seized an encrypted computer located in a hidden compartment at what the official told Reuters was the spy ring’s base. The Daily Sabah learned that the suspects identified as S.S. and Z.H. also said that the aim of the spy ring was to create an anti-Turkey structure. S.S. came under the radar of Turkey’s National Intelligence Organization (MIT) for his meetings and was taken under physical and technical surveillance, according to government officials. The MIT also detected that he was gathering information from his contacts in exchange for money. The other suspect, Z.H., was sent to Turkey five months after to help S.S. resume his activities more comfortably. The two were found to be working until late at night on some days. When intel units concluded that S.S. and Z.H. were conducting espionage activities, the MIT and Istanbul police held a joint operation Monday while the two were on their way to a rendezvous point. After weeks of denying any involvement in the crime, Saudi Arabia later admitted that Khashoggi had been killed inside the consulate but denied that the royal family and the crown prince had any prior knowledge of or responsibility for Khashoggi’s killing. The incident was blamed on lower-level officials, including five that are now facing the death penalty over their involvement; the kingdom has indicated 21 people are officially involved in the case. The UAE and Saudi Arabia are close Arab allies. The post Turkey arrested 2 UAE intel operatives in Istanbul, probing link to Khashoggi murder appeared first on Middle East Observer. For the seventh time round, the Egyptian authorities on Wednesday morning blocked the new site of the anti-constitutional amendments “Batel” electronic campaign, which is intended to collect signatures for rejecting the extension of the rule of coup leader Abdel Fattah al-Sisi, after blocking the official website of the campaign six times earlier. The NetBlocks International website released a report on Wednesday saying that the seventh website of the opposition campaign was blocked, after internet service providers in Egypt blocked over 34,000 internet domains on Monday night in an apparent bid to stamp out the campaign that opposes proposed amendments to the Constitution. Websites and subdomains unreachable via Telecom Egypt, Raya, Vodafone and Orange include prominent technology startups, self-help websites, celebrity homepages, dozens of Open Source technology projects, as well as Bahá’í, Jewish and Islamic faith group websites and NGOs. The set of websites hosted on a shared IP address, now blocked, owned by hosting provider Netlify. The findings suggest that the Egyptian government may have incurred significant collateral damage as it seeks to restrict online content relating to the campaign, which uses the slogan Void. NetBlocks released a report earlier this week stating that the original website for the Batel / Void campaign was first blocked hours after it reportedly gathered 60,000 signatures on Tuesday 9 April 2019 after gaining popular support against proposed changes to Egypt’s constitution “amid concerns over electoral fraud.”. Ahead of the referendum, Egypt has seen widespread campaigning pushing for people to vote for the amendments. Website blocks began in May 2017, when access to 21 sites was blocked on some ISPs, without the websites’ prior notification or clarification from relevant officials on the reasons behind the block or the entity responsible for its implementation. Since then, the Egyptian government has increasingly resorted to website censorship, with access to nearly 500 webpages currently blocked, according to an inventory compiled by AFTE. The “free referendum” campaign on Tuesday launched the seventh domain: “https://34000sites.com” on its seventh day since its launch, which lasted less than a day after its launch. In an earlier statement, Arabi 21 said that “the Egyptian authorities continued to track and block the website’s addresses, reflecting their complete failure to penetrate and disrupt the site, due to the advanced security procedures developed by the technical team of the campaign, which led the government to resort to the only option it can do by blocking votes and silencing voices”. The number of signatories to the Void petition campaign has so far exceeded 327,000 Egyptians both at home and abroad, despite the almost permanent blocking attempts of the campaign site. A few days ago, Amr Waked, a famous Egyptian actor, announced his support for the Batel campaign, calling on the Egyptians to interact positively with the campaign and to participate in voting through the platforms announced. Heggi stressed that “Batel Campaign is now the only way that has been made available to people for peacefully and securely express their opposition to constitutional amendments”, calling on all Egyptians to participate heavily in the campaign. The family of the young Egyptian Khaled Said, described as “icon of the January 25 Revolution” expressed their full support for the campaign, adding: “If the martyr Khaled Said had been alive now, he would have been the first to declare his full and frank rejection of these amendments”. The Khaled Said family also called upon the Egyptian people of across the political spectrum to participate quickly in this campaign, which they believe “contributes to the revival of the spirit of the January Revolution to save Egypt from Sisi’s tyranny. The Muslim Brotherhood’s General Office also called upon all the free people all over the country, including various age, social, and intellectual categories to be “active participants in Batel campaign; to reject this regime, expose it through expressing themselves through this free vote, and to highlight rejection of attempts to reinforce the military rule”. The “Void Campaign” is the first joint action that includes all thvarious political orientations since the July 3, 2013 coup, bringing together opposition political figures and forces from across its liberal, leftist, and Islamic spectrum. Observers consider this a significant change in the call for alignment of all national forces against the Sisi regime. The post For the 7th Time Round, Sisi Blocks Batel (Void) Campaign Site appeared first on Middle East Observer. Amid continuing pressure to transfer power to a civilian government, Sudanese protesters are rejecting support from Saudi Arabia and the UAE to the military regime. Sudan is part of Saudi Arabia’s disastrous military campaign in Yemen. That marked a dramatic shift by Khartoum, which aligned itself with the Gulf Arab monarchies at the expense of close ties with their archrival Iran. Ousted Sudanese President Omar al-Bashir deployed troops to Yemen in 2015 as part of a major foreign policy shift that saw Khartoum break its decades-old ties with Shiite Iran and join the Saudi-led coalition. Sudan, an Arab League and African Union members situated along the strategically prized Red Sea, play a unique role in the Middle East’s geopolitical order. This was the first major foreign policy announcement made by the new military rulers after ousting al-Bashir last week and essentially a continuation of his policy. Last week, Saudi Arabia and the UAE issued statements in support of Sudan’s transitional military council after mass protests forced longtime President al-Bashir from power. Sudanese media reports claim that many of the Sudanese troops fighting in Yemen are from the Rapid Support Force (RSF) paramilitary group. Hundreds of Sudanese soldiers and officers are fighting in Yemen and have suffered casualties, raising calls for a withdrawal. Sudanese troops participating in a Saudi-led military coalition in Yemen will remain in the war-torn country until the Arab alliance achieves its goals, a senior Sudanese military official said Monday. “We will stick to our commitment with the Arab alliance, and our troops will remain until the alliance achieves its goals,” Mohammad Hamdan Daglo, the second-in-charge in Sudan’s new ruling military council, told the Sudan News Agency. For nearly four months, thousands of people protested across Sudan, calling for ousted President al-Bashir to step down. Their wish came true on April 11, when the military ended his 30-year rule and placed him under house arrest. But it wasn’t enough for the demonstrators, who fear an army dominated by al-Bashir appointees will cling to power or select one of their own to succeed him. Thousands of people continue to gather at a sit-in outside the military headquarters in Khartoum set up April 6. The country’s military rulers have transferred al-Bashir to prison, a family source said yesterday. Since his removal by the military last Thursday, al-Bashir had been detained under heavy guard in the presidential residence inside the compound that also houses the Defense Ministry, the family sources said. Sudan’s military rulers have made some concessions to protesters, including the sacking on Tuesday of Prosecutor General Omer Ahmed Mohamed, but demonstrators still fear their uprising could be hijacked. The post Sudan’s military ties with Saudis, UAE in spotlight amid turmoil appeared first on Middle East Observer. As the world watches the peaceful revolution that is changing Sudan in awe and amazement, it is clear that in Egypt, Sudan’s neighbor to the north, Sisi is getting nervous. On the same day as the protests in Khartoum reached a head, several of us who oppose Sisi’s autocratic rule launched an online petition to declare any result from Tuesday’s referendum on proposed constitutional amendments; “void”. Amongst the amendments which Sisi is trying to force on the Egyptian people is a provision which could allow him to remain in power until 2034. The amendments would also increase the control of the military who would be given powers to police the political sphere in Egypt. They would also give Sisi control over the appointment of judges and the public prosecutor. No one who believes that this would be anything close to free or fair. In typical Sisi fashion, the website was blocked in Egypt after reaching 60,000 signatures in the first few hours of its launch. The voting was then moved to encrypted messaging app Telegram. Even then, Sisi’s team were able to block access, which lead to another page being created. It has now become a cat and mouse chase to block and re-open websites. All the while there are now over 100,000 signatures and the apparent full force of the Egyptian Government is not able to fully silence the true will of the people. In fact, only a few weeks earlier another wave of discontent flooded Egyptian social media through the “You are not Alone” hashtag. It was started by Motaaz Matar an Egyptian opposition journalist working from a TV station based in Turkey. He called on people to tweet with the hashtag #اطمن_انت_مش_لوحدك (Be assured, you are not alone), and within a few hours it spilled over the border and became the top trending hashtag in Egypt, Algeria, Qatar and Jordan. Everyone from opposition leaders to other journalists, foreign politicians and just regular people joined in, prompting the Sisi regime to respond with extreme violence and targeting those participating in the campaign. He made sure to act swiftly on this. In 2014, before the presidential elections that followed the military coup, the UAE paid 10 million euros to buy a spyware program from a French company, Nexa technology. The UAE gave this program to Egypt to facilitate monitoring, tracking and hacking of opponents’ social media accounts. In May last year, Sisi angrily announced that, “all the people who oppose [Egypt] from TV stations based abroad, I swear they will be punished”. He was issuing a clear threat to all journalists and activists who are working in TV stations abroad, myself included. It was following this threat that he began to impose much stronger restrictions and control on what is published online. The social media accounts of activists were monitored and tracked. Many such as Wael Abbas a prominent blogger were then arrested and charged with publishing “rumors”, insulting the president, or spreading a pessimistic atmosphere in Egypt. Amnesty international released a report on 6 March 2019 that said Egypt had targeted dozens of human rights defenders with cyber-attacks. They found that the attacks occurred between 13 and 18 January 2019 and increased significantly on 29 January, during a meeting between opposition activists and French president Emmanuel Macron. Indeed, whatever it is that Sisi and his regime are trying to achieve by curbing social media use, targeting activists and even changing the constitution, seems to have had the complete opposite effect. Social media is more buzzing now than ever. Blocking websites increases the desire to reach them; targeting social networking sites encourages their users to devise more ingenious and effective means to use them to their advantage; and arresting activists pushes their friends to blog more about them. *By Osama Gaweesh, an Egyptian TV presenter living in exile in the UK. The article was published on The Guardian on 16 April 2019. The post Egypt: No One Believes Vote on Constitutional Amendments Will Be Fair appeared first on Middle East Observer. The post Egypt, “Void” campaign appeared first on Middle East Observer. The Egyptian Parliament is expected to adopt earlier this week a constitutional reform that will eradicate the latest achievements of the 2011 revolution and allow Abdel Fattah Al-Sisi to remain in power until. . . 2030. Throughout the six years that marked President Abdelfatah al-Sisi’s coup on Egypt’s first civilian president, Sisi orchestrated several political, security, legislative, constitutional, and electoral coups. Sisi is currently preparing a constitutional coup that allows him to remain in office until 2034. However, by doing so, he committed a tragic mistake. Not only is he granting the military a constitutional cover to remove him, but also gave all those who oppose him within and outside his regime a goal that bridges their irreconcilable divisions. Sisi might be a victim of his own making, the experiences of former Egyptian presidents who amended the constitution to consolidate their powers ended up with them losing it. Although Sisi announced after his coup in 2013 that he won’t run for the presidency, he has been effectively ruling the country since then. Within a year, Sisi broke his promise and announced he’s running for the presidency and turned against his secular allies, eliminating them from government and imprisoning their activists. During his first four-year term and behind the smokescreen of fighting terrorism, Egypt witnessed the largest crackdown in its modern history against peaceful opposition, whether Islamist or secular. Throughout his first year as president, Sisi led a legislative coup through issuing hundreds of legislations, many of which unconstitutional. The parliament, which according to a now-imprisoned former advisor to Sisi, was engineered by intelligence services, and rubberstamped those legislations en-masse during its first sessions. By the end of his first term, Sisi started settling scores with senior military and security officers. He fired the military’s chief-of-staff and the director of General Intelligence and put them under house arrest and appointed his office’s chief-of-staff and his son, Mahmoud, at the top two positions in General Intelligence. Sisi imprisoned presidential candidates running against him in reelection or put them under house arrest (a precedent throughout the republic’s 65 years) including a former military chief-of-staff and a former prime minister. After Sisi ran the elections effectively unopposed, he led the largest campaign of mass arrests of secular political figures since 1981 and sacked the minister of defense whose loyalty to him was questioned, and appointed instead the head of the presidential guard. In tandem with the crackdown on the former generals, he ordered the military to launch the propagandized “Comprehensive Campaign” against ISIS in Sinai, which was perceived by many as a distraction from the scandalous elections. The campaign, which was meant to last for three months, dragged on for a year and ended unceremoniously when the military spokesperson simply seized to refer to it in his statements. ISIS still carries out devastating attacks and utilizes the military’s crimes against civilians in Sinai as a propaganda tool. Academic studies note that the constant decisive factor in Egyptian politics since the military’s first coup in 1952 has been contention between the military and senior military officers in power. They also observe that this vicious contention has consumed the country and led to the depletion of its resources and the erosion of competencies. This contention has also reflected severely on the professionalism and effectiveness of the military and contributed to Egypt’s most humiliating military defeat in 1967. During a general’s first day as president he realizes that he daily has to deal with a very delicate balance between two vital, yet contradictory, considerations. The first is that the military is his primary constituency, and the second is that military is a threat and that he has to contain senior military officers’ ambitions to replace him. The dilemma of Sisi, and all presidents that preceded him throughout the past 67 years is how to manage such a delicate balance without ending up being crushed by popular uprisings or military coups. The constitutional amendment that allows Sisi to stay in power for extra 12 years, has overshadowed other amendments that reassert the one-man dictatorship. According to statements by two senior judicial officials, those amendments will give Sisi complete authority over the judiciary and constitutionalize the military’s dominance of politics. Those unprecedented statements, along with other public positions of figures from the Mubarak and Sisi regimes, point to a lack of consensus inside the regime on those amendments. The wording of the amendment concerning the role of the military also implies that for the first time its role is no longer limited to a security agency, but a guaranteed position as an arbitrator between major political actors, including the president. The military has already played this role in 2011 and 2013 when it overthrew two presidents, despite the absence of such a stipulation in the constitution. Such an amendment is a double-edged sword: it gives the army a justification to turn Egypt into a bloodbath as was the case in Syria, but also gives it a constitutional cover to overthrow Sisi with the next major crisis. Sisi is likely aware of the dangers the constitutional amendments carry for his future as president. However, he is also fully aware that if he steps aside in 2022 as the constitution currently stipulates, he will not be safe. Reports by national and international rights groups accuse him of committing crimes that far exceed those of Mubarak, including overseeing the worst massacre in Egypt’s modern history. Staying in power is the only guarantee to maintain his impunity, even if it’s at the expense of disturbing the delicate balance he tries to maintain with the military. Mohammed Morsi went down in history as the president who inadvertently proved to Egyptians that Islam is not a solution to politics. In all likelihood, Sisi will go down in history as the general who proved to Egyptians that the military isn’t a solution to Egypt’s chronic political dilemma, but an entity that should indefinitely stay out of it. The post Egypt. The Permanent Coup appeared first on Middle East Observer. The United Nations’s top envoy for Libya has said that renegade General Khalifa Haftar tried to stage a coup when he issued an arrest warrant for Prime Minister Fayez al-Serraj of the Tripoli-based Government of National Accord (GNA). Speaking to BBC Radio this week, Special Representative Ghassan Salame said Haftar’s decision to issue in the course of his offensive arrest warrants against al-Serraj and other top Tripoli officials “sounded more like a coup than counter-terrorism”. Haftar’s side confirmed the warrant had been issued and al-Serraj’s government said it had been immediately rejected. Diplomats believe Haftar, for now, faces no pressure to stand down from backers including theUnited Arab Emirates, Egypt and France, who see him as the best bet to end the factional chaos plaguing Libya since Gaddafi’s fall in the 2011 uprising. Air raids and shelling have hit civilian infrastructure and residential homes, especially in the south of Tripoli where Haftar’s forces have sought to penetrate government defences. The UN humanitarian agency OCHA said targeting civilians was a violation of international humanitarian law. The UN Support Mission in Libya (UNSMIL) warned in a statement that “the bombing of schools, hospitals, ambulances and civilian areas is strictly prohibited,” adding that it was documenting all such offences for the UN Security Council. A school was hit on Saturday in an air raid blamed on Haftar’s forces, Tripoli officials said. Salame, whose plans for a national reconciliation conference this week had to be postponed because of the fighting, said he hoped both sides would realize in the coming days that neither could achieve an outright military victory. The post Haftar Offensive on Tripoli ‘Sounded Like a Coup’: UN Libya Envoy appeared first on Middle East Observer. A new scandal by the Egyptian regime Internet providers in Egypt are blocking access to an estimated 34,000 internet domains in an apparent bid to stamp out an opposition campaign launched last week under the slogan Void, according to new Netblocks internet measurement data. The original website for the Batel / Void campaign was first blocked hours after it reportedly gathered 60,000 signatures on Tuesday 9 April 2019 after gaining popular support against proposed changes to Egypt’s constitution. Thee mirrors of the website were subsequently made unavailable with the campaign currently on its fifth iteration. The campaign, which says it has amassed 250,000 signatures, was launched in opposition to changes proposed in the upcoming constitutional referendum, which would extend presidential term limits and increase presidential control over the judiciary. The website going by the tagline Void remains available globally outside of Egypt, with the exception of Sudan where it is also restricted. The campaign launched a fifth mirror of its website on the evening of Monday 15 April to counter state restrictions. The post Scandal, Egypt filters 34,000 domains in bid to block opposition campaign platform appeared first on Middle East Observer. Khalifa Haftar, the Libyan warlord bombarding Tripoli in an attempt to oust the country’s UN-recognized government, has won unequivocal support from the Egyptian leader, Abdel Fattah al-Sisi, his closest political ally. The post Egypt’s Sisi backs Haftar assault on Tripoli appeared first on Middle East Observer. Turkey’s ruling Justice and Development Party (AK Party) is getting ready to apply to the Supreme Election Council (YSK) with its legal right to extraordinary objection to re-hold the municipal elections that saw a large number of irregularities and suspicious activities that has led to the recount of irregular votes in some districts and recounts of all votes in some other districts. “We will submit our application and its supplements to the YSK in a very short time,” AK Party Deputy Chairman Ali İhsan Yavuz said Sunday on his Twitter account. Moreover, out of nearly 9 million voters, 319,540 votes were labeled invalid, mainly in districts considered AK Party strongholds, increasing the party’s suspicions regarding interference in the elections. The AK Party is expected to make its extraordinary objection to the YSK this week following the completion of the recount in Maltepe. If the YSK decides to re-hold the elections in Istanbul, the elections will be held on June 2 along with three other districts in Artvin’s Yusufeli, Kırıkkales’s Keskin and Denizli’s Honaz. The AK Party announced on last Tuesday that it would seek to use the right to make an extraordinary objection and demand a repeat of the election. President Recep Tayyip Erdoğan raised concerns about “organized interference” in the Istanbul elections earlier Monday. “We, as a political party, have detected organized crime and some organized activities,” Erdoğan told reporters ahead of his departure from Istanbul for Moscow. On election night, the AK Party candidate Binali Yıldırım declared victory as he was leading in the polls by a narrow margin, only to be followed by main opposition Republican People’s Party (CHP) candidate Ekrem İmamoğlu announcement of victory. The candidates’ early victory statements were followed by YSK Chairman Sadi Güven’s announcement on April 1, saying İmamoğlu led the polls by almost 25,000 votes according to unofficial results. The provisional election results, however, were followed by the objection process, which saw numerous irregularities and discrepancies between ballot result reports and counting tabulations. The post Turkey: Strong evidence points to rerun of Istanbul elections appeared first on Middle East Observer. The post What’s happening in Sudan? appeared first on Middle East Observer. The post Sudan and Algeria’s Dilemma, How to Avoid Turning into Egypt – WP appeared first on Middle East Observer. The post UAE: Top Abraaj Executives Arrested on U.S. Fraud Charges appeared first on Middle East Observer. 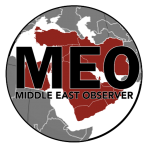 The post Egypt reportedly pulled out of US-led effort to form ‘Arab NATO’ appeared first on Middle East Observer. The post Egypt : ‘Void’ campaign had attracted more than 100,000 votes online opposing constitutional changes appeared first on Middle East Observer. The post Egypt’s Sisi in Trump’s Embrace, Hoping to Be Allowed to Stay in Office Until 2034 appeared first on Middle East Observer. The post US Senators Urge Secretary Pompeo to Address Human Rights during Sisi’s Visit appeared first on Middle East Observer. The post Saudi-led air raids ‘kill at least 11 civilians’ in Yemen’s Sanaa appeared first on Middle East Observer.